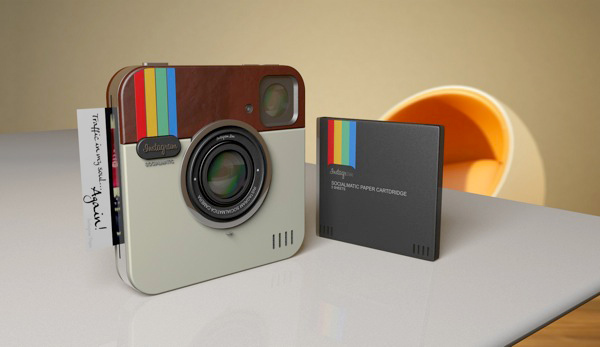 If you’re into unique, somewhat novelty gadgets and also taking pictures, ADR Studios’ concept Instagram Socialmatic Camera seems like it’s your kind of bag. 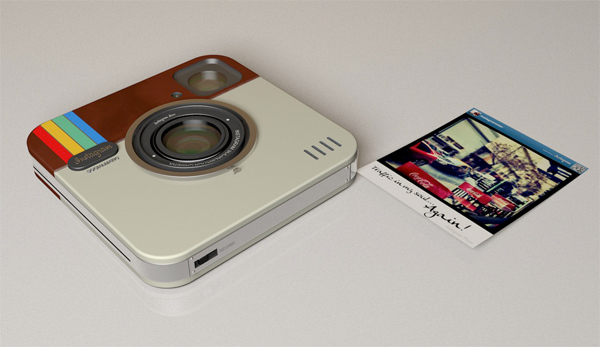 It’s a digital camera modeled after the Instagram icon, that not only posts pictures to Instagram, but prints them out like Polaroids in Instagram theme. 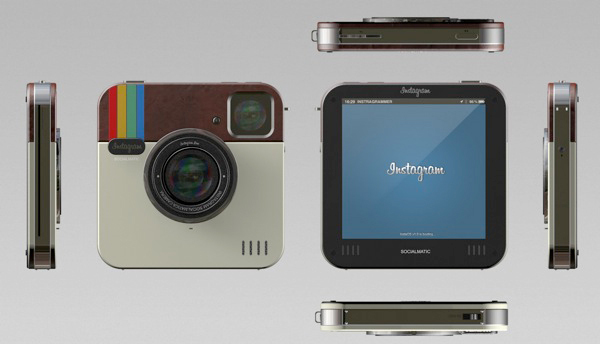 It would sport all of the features a regular digital camera should, including Wi-Fi and Bluetooth, 16 GB of storage, a 4:3 touchscreen (as Instagram takes square pictures), 2 different lenses, a QR code reader, and can be used as a webcam. Aside from posting to Instagram, however, ADR Studios’ concept would print out the pictures, like a Polaroid, but on a sticky sheet similar to a Post-it note, so one can stick their pictures, we assume, all over. The sticky pictures would be printed with the Instagram user’s name, as well as a QR code so you can easily follow them on the photo-sharing network. As this camera is only a concept, someone should probably point ADR Studios in the direction of Kickstarter.